A very warm welcome to Aussian – a site where I share my experiences about moving to Australia and life “Down Under”. According to 2015 statistics by Australian Bureau of Statistics, Indian immigrants rank 4th in terms of total residential population and this number is growing with each passing year. When I started my immigration process back in 2014, my sole source of information was online forums, friends and Wikipedia. People like me couldn’t find much information about Australia despite her being the sixth largest country in the world. Moreover, there is very little information about the day to day life of Indian immigrants and the challenges they face in this new world. Aussian is my attempt to bridge this gap. On this site, I share all the tiny little details about the whole immigration process, travel preparations, early days in Australia, job scenario, lifestyle and so on. In doing so, I believe I can help fellow immigrants to settle down under easily and smoothly. As a side note, though this blog is written more from the perspective of an Indian living in Australia, most of the things I discuss here are equally applicable to any other immigrants from other countries. Sometime, I might write posts which are specific to the Indian immigrants, but you will be easily able to distinguish them by looking at the post title. What does the word “Aussian” mean? 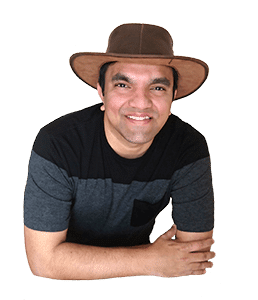 I started this site to write from the perspective of an Indian who is living in Australia. The word – Aussian, is a combination of two words – Australian and Indian. In other words, it symbolises the experiences of an Indian Australian. It should be pronounced as ozzy-an. How Aussian can be useful to you? Why did I move to Australia? I am not a professional immigration consultant and Aussian is not a professional immigration advice site. Here, I share my personal experiences and my views about Australia to help other people choose and decide about making their move. My name is Harsh Athalye. I am a software professional, currently living in Melbourne, Australia. Despite my job, writing has always been my passion. I started dabbling in blogging since 2010 with my other blog about technology, Let’s Geek. I found blogging to be a great platform to share knowledge and learn a lot in the process. The one thing I like about blogging is that it’s not a one-way platform. It’s not about just sharing my thoughts, but also about listening to your feedback. So I encourage you to leave your valuable comments on each post that you like or dislike. I read each and every comment on Aussian and will try to respond to your feedback or questions. However, depending on my workload, it might take a while for me to respond. So please be patient. There are three times more sheeps in Australian than the people.